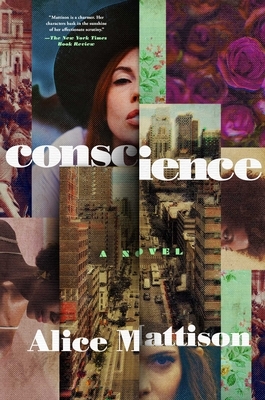 Please join us at Book Culture 112th on Wednesday, October 24th at 7pm for a reading and discussion on Alice Mattison's new novel, Conscience. Joining Alice in conversation will be Rebecca Chace. Alice Mattison’s novels include The Book Borrower, Nothing Is Quite Forgotten in Brooklyn, and When We Argued All Night. Her stories have appeared in The New Yorker, The New York Times, Ploughshares, and Ecotone, and been anthologized in The Pushcart Prize, PEN/O. Henry Prize Stories, and Best American Short Stories. Her most recent work is The Kite and the String: How to Write with Spontaneity and Control—and Live to Tell the Tale. She lives in New Haven, Connecticut. Rebecca Chace is the author of: Leaving Rock Harbor (novel); Capture the Flag (novel); Chautauqua Summer (memoir). Plays: Colette; The Awakening (adaptation of novel by Kate Chopin). Her first book for middle readers, June Sparrow and The Million Dollar Penny, was published in May, 2017. She has written for the New York Times Magazine, The New York Times Book Review, the Huffington Post, NPR’s All Things Considered and other publications. She was a 2016 Writing Fellow at Dora Maar House (Museum of Fine Arts Houston); 2015-2016 member of the Wertheim Study at the New York Public Library; 2014 recipient of the Grace Paley Fiction Fellowship, Vermont Studio Center; The Frances Shaw Fellowship at the Ragdale Foundation; a MacDowell Fellow and Yaddo fellow. She is Director of the MA in Creative Writing, and Associate Professor of Creative Writing at Fairleigh Dickinson University.